In the summer holidays this year, we will be going to Portugal (hurrah!) and I have been on the hunt for a really cool rucksack for Annabelle to carry on to the plane. As I was looking around, I found some great items for all the family on the Cotswold Outdoor website*. I thought I would share them with you today in this Spring Summer Wish List 2015. So it was this adorable penguin rucksack that caught my eye for my little princess. This bag is perfect for the flight and long journeys as the front of the bag functions as a table. It is hard to allow children to colour and draw and can be fitted on to the head rest of a car seat. Inside, there are lots of cute compartments for colouring pencils, sticker books and snacks. It also comes with a matching fluffy penguin pencil case. It is probably a bit more than I would normally spend on a rucksack for nursery but I see this as more of a travel bag for when we go abroad or down to Cornwall to see the in-laws (that journey is three hours long!). As the bag is gender neutral, Heath can also use it when he is older. I saw this North Face coat and thought it would be the perfect gift for my mum. She looks after me and the children every day and really deserves a gift like this (it is a practical purchase, which she always prefers over flowers and jewellery). I have the same jacket in purple. The reason I love it is because it is so versatile. It has a fleecy inner layer which can be worn on its own or attached to the outer layer. On the cooler and rainy days, I wear the outer, waterproof layer on the school run as it is lightweight and breathable. This is ideal when pushing the buggy around and working up a sweat! I bought my coat from Cotswold Outdoor a few years ago. My husband, Andy, is doing a really adventurous race in Autumn. He will be climbing and abseiling as part of the event. If we could get footage of this with the GoPro camera, how perfect would that be? This is definitely an item I would love to purchase if money wasn’t an issue or if I won a couple of thousand pounds on the lottery. I’m really enjoying vlogging at the moment and this GoPro action camera would help take amazing footage under water, point of view action shots while we are on the go or from a distance when mounted on a selfie stick. I’ve seen quite a few vloggers using a GoPro and I am so envious. I think it will be such a cool piece of technology to own as I am really in to gadgets. Heath is a little bit young for many of the items at Cotswold Outdoor but I did see some navy Crocs that Annabelle can wear this summer. As they come in red or blue, Heath will be able to wear either colour when he is older. I feel a bit bad giving him hand-me-downs all the time (but it won’t last too long little man!). I never thought that I would buy Crocs or croc-style shoes for my children. I used to hate them before Annabelle was born but they have been really useful on the beach, on those rare warm days we have or just when we have finished swimming lessons and need to get changed and home quickly. I do find that we need to try them on as she can go up or down a size according to the style. I just love Hunter wellies. I bought a purple pair from Cotswold Outdoor quite a few years ago but as I often wear them with my The North Face coat, it can sometimes be a bit matchy-matchy. I would really like a green pair for country walks in Cornwall, rainy nursery runs or teamed with some snuggly welly socks when it snows next. I hope you enjoyed this post. I will pin these items on my Pinterest Page which you can check out by clicking on the link. Bx *This is a sponsored post. 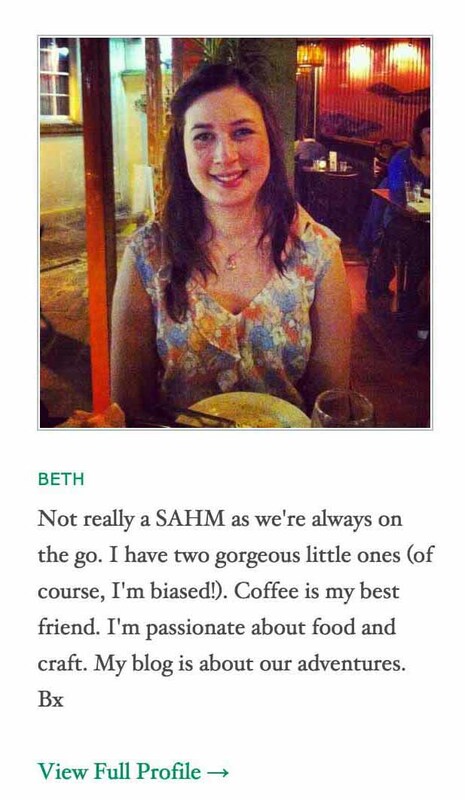 I only accept sponsored posts if they are relevant to my website and all opinions are my own. Please read my contact and disclaimer page for more details. All images from Cotswold Outdoor. I’m going to say something very mumsy now. You’ll have to forgive me… I love Sudocrem. I do. I just love it. As a mum, I have tried lots of brands from lotions and potions to clothes and gadgets. Some things, I like, some I love and some I just think, ‘Well, that was a complete waste of money!’. When I was pregnant with Annabelle, my friend Becki told me that the first thing I had to buy was Sudocrem. I remember my reaction was ‘Suda-what?’ but now I wouldn’t be without it. I have four tubs! Yes, four. One in my bedroom, Annabelle’s room, the sitting room and one in my changing bag! Luckily for me, I was recently sent the Care and Protect to review. If I’m completely honest, I was a little bit too excited to try it out!! As soon as I received the package, I changed Heath’s nappy. I was really surprised by the consistency. I expected it to be thicker and to look and feel a bit more like the antiseptic healing cream. In my head, I imagined it would dispense in the same way toothpaste does. As it was so thin, I ended up squeezing far too much out. It was, however, easy to flip open with one hand and blob on to my finger tip, which, with a wriggler like Heath is a definite plus and is much less messy than the tubs. The tube is also ideal to take out and about in my changing bag as it is lighter. Additionally, the lid on the antiseptic healing cream loosens with frequent use, so the Care and Protect has the more preferable packaging. The Care and Protect is designed for use at every nappy change so this is the reason that it is thinner and more delicate. Unlike other creams on the market, just because it is thinner doesn’t mean it has a watery consistency. It has a good coverage and leaves a soft and clear residue which, like the antiseptic healing cream, always makes me think that it forms a protective barrier against nappy mess. I must admit that one of the reasons I like the healing cream is because as well as smelling so nice, (the Care and Protect has a much subtler scent) it is good value for money. I’m not saying that the Care and Protect is expensive but the price can vary by over £10 per 100 grams. But honestly, I shouldn’t compare the two products so much. They are designed for different purposes and really to go hand in hand, with the Care and Protect being prevention and the antiseptic healing cream acting as a cure for nappy rash. They both work well independently and together to prevent and to cure. 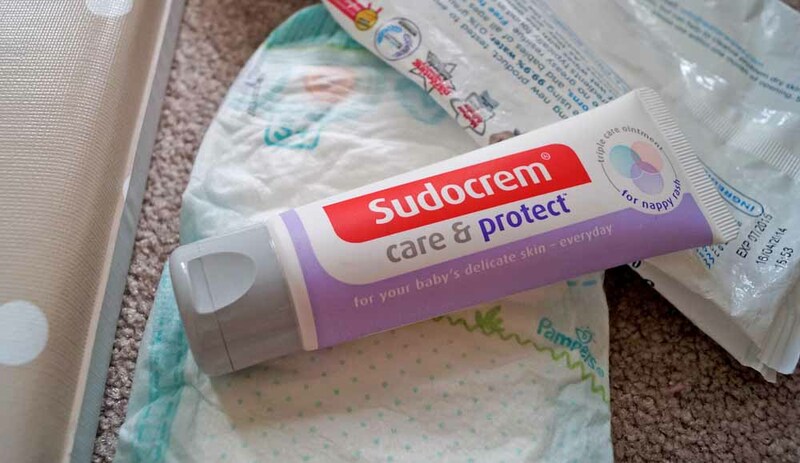 I use Sudocrem on Heath a lot more than I ever needed to on Annabelle (probably as he has a healthier appetite than she did), so I will continue to use the Care and Protect after most nappy changes for the foreseeable future. However, as a mum I try not to use too many products directly on my children’s skin for long periods of time. I tend not to use it after every nappy change but mostly after number twos or when the nappy area looks slightly red and thankfully we have never had nappy rash in this household! Overall, Sudocrem Care and Protect ticks all the right boxes. It is an ideal size for changing bags, it is fairly good value for money, and it is easy to open and dispense with one hand. Most importantly though, it is delicate for a baby’s sensitive skin but tough enough to prevent nappy rash. What more could you ask for? *I kindly given this product in exchange for an honest review. I was not paid to write this post. Click here to find out more about Sudocrem Care and Protect. One New Year’s Resolution – That’s it!